Before diving into a purchase, think about why you want one. Size is a big thing to consider. 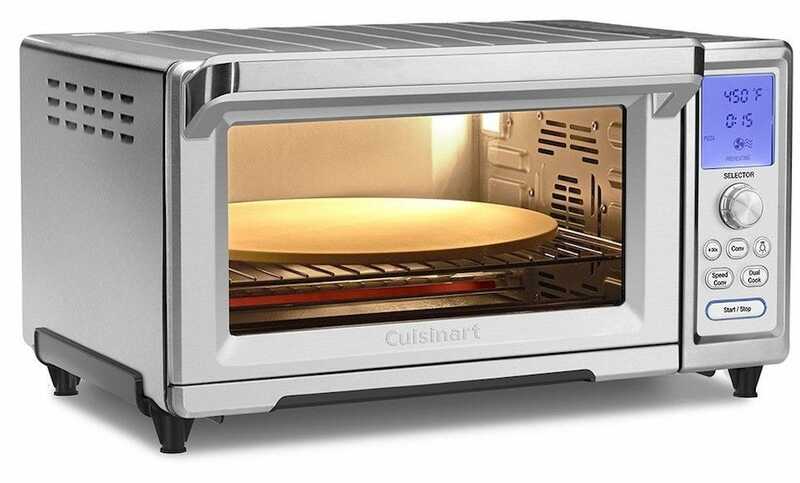 All toaster ovens are smaller than a conventional oven which makes them great if you have a tiny apartment or kitchen, but some are bigger than others. Similarly, some are more powerful than others which can be a good thing, depending on what you’re planning on cooking. Remember, toaster ovens consume far less electricity than a standard oven which is why they’re great for more modest means and incomes. They also emit less heat while still baking and cooking effectively. Some toaster ovens are still big enough to handle cooking a chicken, while others are more adept at the smaller, lighter meals of the day. We’ve rounded up a wide variety of toaster ovens that cover every need from “I want to make a bunch of toaster waffles for my kids” to “I want to roast some Cornish hens” and everything in between. Here’s our pick of the bunch. 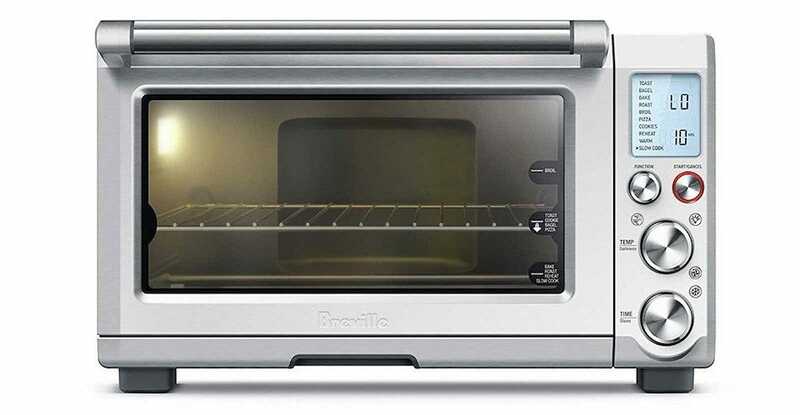 If money is no object, you can’t go wrong with the Breville Smart Oven Pro Convection Toaster Oven. It’s the kind of toaster oven that will easily replace your conventional oven and make you wonder how you lived without it all this time. It has the capacity to toast 6 slices at once or bake a 13″ pizza. It’s good for baking pork loins, cakes, potatoes, and pretty much everything else you can think of. That’s all while still being small enough that you can squeeze it into your apartment kitchen without much hassle. 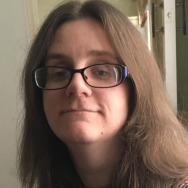 Speaking of apartments, it’s particularly popular among renters because, as many of us can attest, the ovens in rentals are often old, poorly calibrated, and difficult to work with. While you may not be able to convince your landlord to upgrade your oven, you can always pop the Smart Oven on the counter and skip the rickety old apartment oven altogether. A built-in fan circulates hot air so you’re guaranteed an even bake, while 10 pre-set cooking functions mean you don’t have to be an expert in the kitchen to succeed here. Settings include toasting, baking, roasting, broiling, baking cookies, reheating, and slow cooking. So, yes, it replaces your slow cooker in certain cases too, with settings ranging from 2 to 10 hours, depending on what you’re cooking. Several staff members have one and say it’s the most useful (and most used) item in their kitchens. We’re pretty confident the Breville Smart Oven Pro Convection Toaster Oven will quickly become the heart of your kitchen. Gazed at the Breville Smart Oven Pro Convection Toaster Oven and had a wee bit of sticker shock? 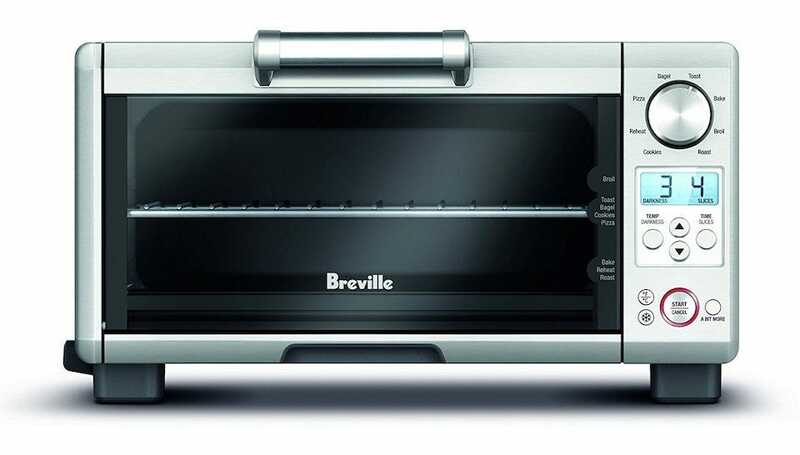 Try the Breville Mini Smart Oven instead. Over $100 less means it’s not quite as amazing, but it’s still very useful and competent. Its element is just as powerful at 1800 watt, but it has fewer pre-set cooking functions—8 to be exact. It’s also smaller. A 4 toast slice capacity means it’ll still cater for most people’s needs, with space for an 11″ pizza, and the choice of 3 rack positions. There’s a pull-out crumb tray for convenience too. 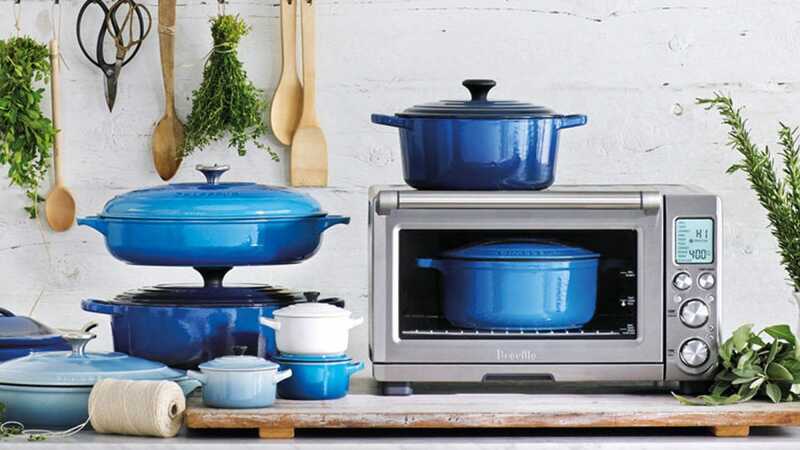 It’s not a convection oven which is an issue if you’re an avid cake maker, but for the average household it’ll work just great as an accompaniment to your regular conventional oven. 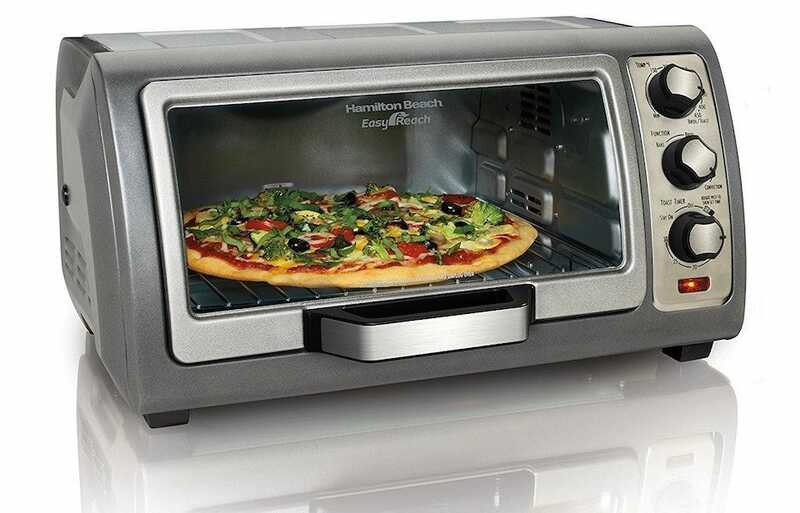 A bargain price, you can’t expect the Hamilton Beach Toaster Oven to be as feature rich as some of the options here, but it still packs a punch where it counts. The toaster oven has baking, broiling, and toasting functions with a convection fan ensuring you get an even bake throughout. The timer is restricted to a 30 minute option, but that should still cover you for most basic tasks. It’s not small either, easily fitting a 12″ pizza or 6 slices of toast. Also, while this toaster oven might lack a few finer features, there’s still space for a removable crumb tray. 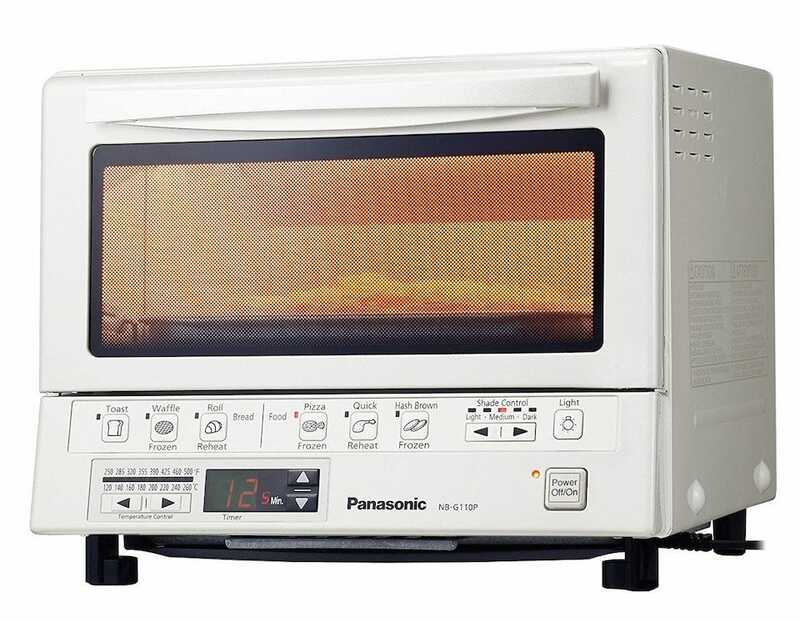 If you’re on a tight budget or aren’t sure how often you’d use a toaster oven, this is the one to buy. 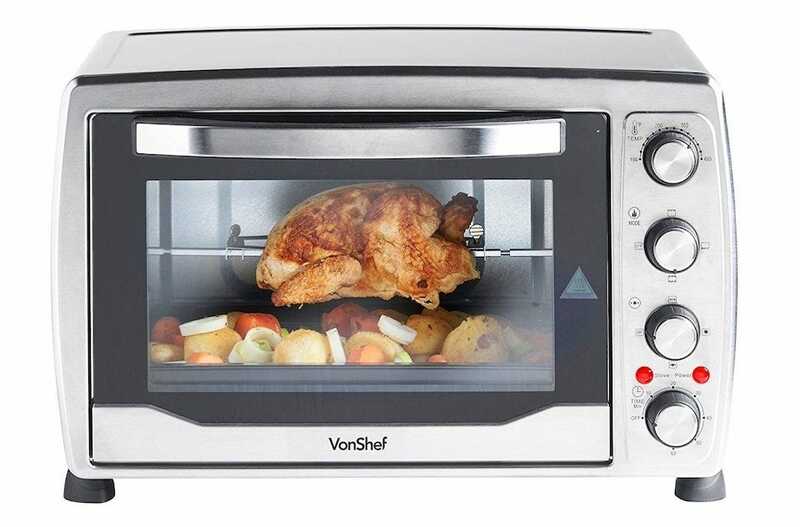 The VonShef Convection Countertop Toaster Mini Oven is a pretty useful toaster oven, covering all the basics plus a little bit more in the form of a rotisserie spit roast function. The rotisserie spit roast is a great addition to an otherwise fairly well rounded package. Sure, you won’t be fitting a turkey in here but for the average chicken or smaller poultry, it’s perfect. Elsewhere, the toaster oven has 5 other cooking functions encompassing your usual bunch of broiling, baking, grilling, and roasting options. There’s a 60 minute timer function with temperatures adjustable between 150-450F too, so you can work on baking things just right. The only downside is that, inexplicably, there’s no crumb tray so things can get messy. Panasonic’s Flash Xpress Toaster Oven utilizes some fancy exclusive technology known as FlashXPress. The idea is that its double infrared light cooks up to 40% faster than a conventional toaster oven. For those short on time, it’s the perfect way to prepare food fast. It’s smart too, with algorithms automatically calculating the best cooking time depending on what you’re baking or cooking. There’s still the option for presets though, with a 6-menu list for popular requests like toast, pizza, frozen foods, or simply quickly reheating something. A digital timer of up to 25 minutes reinforces the speediness. It’s a little on the small side but there’s room for up to 4 slices of bread or a 9″ pizza. If speed is of the essence rather than flexibility, this is the toaster oven for you. If you want a toaster oven that just does what you tell it to, without really getting into the finer minutiae of things, then the Cuisinart Chef’s Convection Toaster Oven is the one to get. It offers an impressive 15 different cooking functions, including a dual cook mode, and speed convection heating. With its simple to use controls, you can easily cook and bake toast, bagels, waffles, sandwiches, leftovers, pizza, cuts of meat, and mostly everything else that needs to be heated. It’s hefty in size too so you can toast up to 9 slices of bread, or a 13″ pizza without issue. It’s possible to optimize toasting time, depending on what you place in there too. The dual cook function allows you to run two different functions at two different temperature levels consecutively, which is perfect for browning meat before slow cooking it. For the hands-off chef, this is the toaster oven for you.